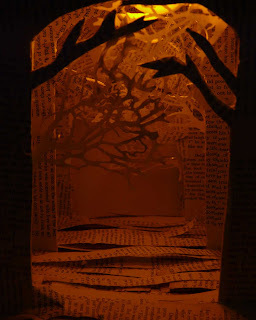 This image was a set that I made for Guillivers Travels by Jonathan Swift. It is made from the pages of old antique books, it lights up from the top of the trees. I played around with different lighting effects until I achieved this final result.